After setting up a GoFundMe page to get my Frog Van back on the road a little over a month ago I'm both surprised but very pleased to say I've reached my target funding goal of $500.00. Many of the most generous donations were from family which I appreciate very much (and the timing of setting up the fund just over a week before my birthday was intentionally done to put the fund out there as a gift option for them.). Just as much appreciated were the donations from people, mostly from the GoAnimate Community, that only really know me through my GoAnimations, blogs and Facebook. All their donations were very generous and welcome too. 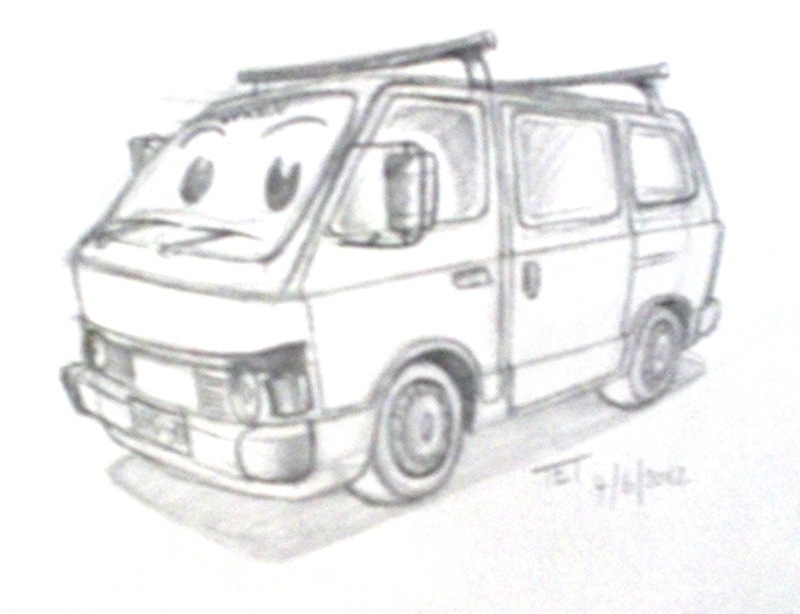 As I said, I really wasn't expecting to have reached my goal so soon so... here's what is happening with the van now. The next three months is Winter in Australia, which means it's not the best weather to be travelling in, to what is likely to be, mostly outdoor locations. Also, if I was to register the van now. The registration would last three months, in which I'd hardly be doing much driving, then I'd need to find another $200.00 to register it again, for another three months, in the Spring. No doubt if I were to get the van fixed right away, it would need test driving, which can't be done legally if it isn't registered. So I'm going to transfer all your donations into a high interest Savings account that I have for at least the next two months. If the money earns any interest in that time then that will also go towards fixing the van. 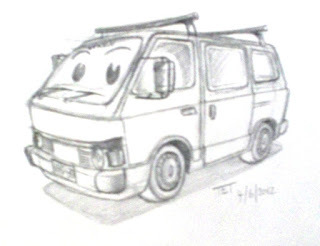 At the end of July to early August I will get the van fixed and registered. As the weather is usually starting to warm up by August, so I should be able to do some driving. I've said it before and I'll say it again, just to reinforce the point. All of the money donated will get spent on the van. If it turns out I have money left over that will still get spent on the van (you've seen the van in blogs and videos, you know it could use a fair bit of money spending on it. New tyres would be my next purchase). If you like you can still donate to the Van's Fund, even though I've reached my target. However that is entirely up to you. I'm more than happy with the generosity I've received and promise to follow through with spending the money as I always intended. I may turn the Van's GoFundMe page into a 'Sponsor the Frog Van' page once I know for sure that the van will be back up and running. There may be an opportunity for sponsors to advertise in the blogs and vlogs I produce as part of my travels in exchange for gas money perhaps? We'll see. Below I've embeded a video I created yesterday in which you get to watch me draw the cartoon of the Frog Van that accompanies this post. In the video I also talk about my plans for the van. Not quite as coherently as what I've written in this post because I was just rambling on so I'd have some voice over for the drawing. However I hope you enjoy the new cartoon. Thanks again. I'll be sure to keep you updated on the Vans journey back to a road worthy vehicle. Congratulations on reaching your goal for the van. It is very exciting to see what people you have never met will do to help an online friend in need. I thought about setting up a site to get back what was taken from my house, but I do not have pictures of any of it.